The MetaOptima Team is thrilled to officially welcome Manoel Coelho as its Chief Growth Officer. 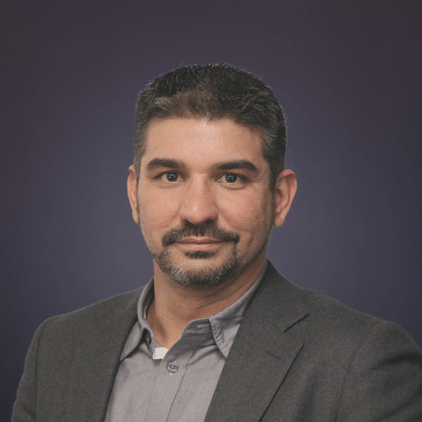 Mr. Coelho joins MetaOptima with a solid background in the healthcare industry with more than 15 years of experience in the telemedicine field alongside vast multinational business expertise. The rapid growth that MetaOptima has experienced in recent years is a reflection of the strong purpose that drives the company’s vision to be the world leader in intelligent dermatology and skin analytics. “This is such a big step for MetaOptima, with all of our recent achievements it’s so important that we are able to strategically manage our growth to ensure our continued healthy expansion. It will be very exciting to see how Manoel’s experience will support every step of our company’s journey towards making our upcoming milestones a reality.”, says CEO and Cofounder Dr. Maryam Sadeghi. MetaOptima looks forward to Manoel’s leadership and experience to continue to drive its overall mission to expand our platform and facilitate faster and more accurate care for patients in every corner of the globe. Mr. Coelho’s participation in this period of exponential growth represents the execution of a strategic planning that can bring the structure and innovation for MetaOptima’s ongoing successful development. In this regard, Manoel’s vast experience with SaaS as well as AI systems is a valuable asset to capitalize on as they relate closely to the global expansion endeavours the company is currently pursuing. Mr. Coelho’s passion for developing strong, cohesive teams perfectly reflects MetaOptima’s vision and culture as he drives new initiatives to expand the already successful working environment. “It is an exciting time for MetaOptima as we grow our team and business internationally. I cannot emphasize enough how important it is to have full trust in your team - when you build a company surrounded by those who share your vision, your goals and how you are meant to achieve them become clear. As a company that works in the business of saving lives, it is absolutely essential that you find the right players for your team to work together to make this bold vision a reality”, says Dr. Sadeghi. In addition, Manoel is a strong believer of ‘caring for others by serving them’ with all that it is within his reach, a complementing belief to the principles upon which MetaOptima was founded and still continues to work with daily commitment to improve lives all over the world. The MetaOptima Family welcomes Manoel with great joy as we collectively look forward to sharing in more growth and celebrating the ongoing development of accessible, intelligent and effective solutions for more patients and doctors in every step of the care cycle. Join us in welcoming Manoel and share together the bright future that lies ahead of us! MetaOptima is a fast-growing start-up company working in the Intelligent Digital Health Technology industry whose goal is to commercialize advanced dermatology tools to support medical professionals for the early detection of serious skin conditions such as melanoma and other skin cancers. In this regard, the growth expected to be brought by Mr. Coelho will also represent another great contribution of Canadian technology and expertise to the world. If you would like to know more about MetaOptima please visit metaoptima.com and subscribe to our blog to receive the latest news in digital health.